verb tr., intr. : To be sparing in the use of something, especially food. 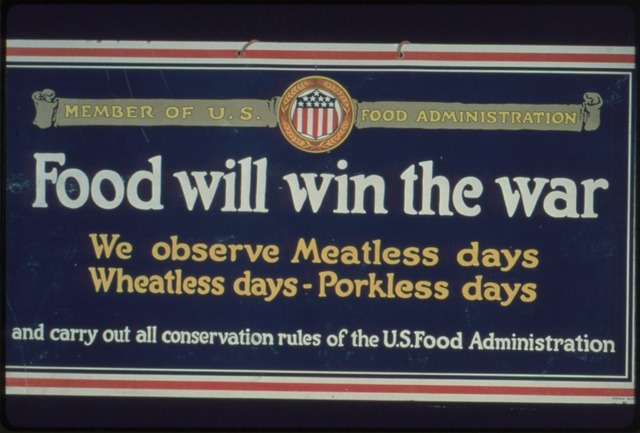 After Herbert C. Hoover (1874-1964), who as the head of the US Food Administration during the WWI, encouraged citizens to eat less and save food for soldiers. Earliest documented use: 1917. “To hooverize” is not the same as “to hoover”. The latter is a synonym of “to vacuum” (also used metaphorically for “to devour” or “to consume”). It’s the genericizing of the word Hoover, a popular brand name for vacuum cleaners. The word is mostly used around the UK. The brand is named after American industrialist William Henry Hoover (1849-1932). David Pietrusza; 1932: The Rise of Hitler and FDR; Lyons Press; 2015.